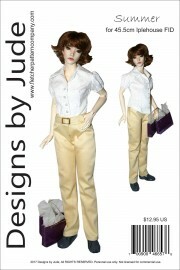 Up for consideration is the fun Summer pattern designed to fit 45.5cm Iplehouse FID BJD dolls. 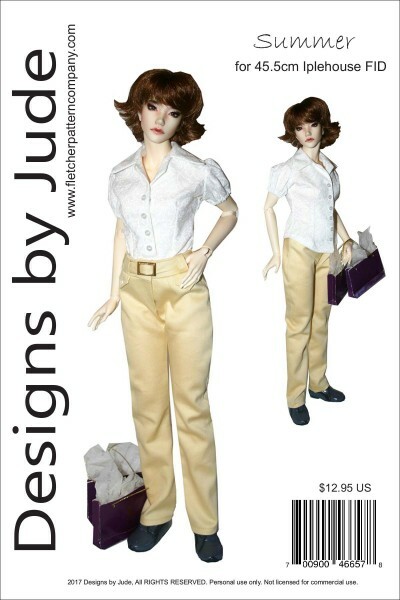 The pattern includes a short sleeve fitted button up top with puff sleeves and collar and pants with two tab pockets, belt loops and belt with front snap closure. This design is also available for Iplehouse EID and 22" American Model dolls. The PDF prints on A4 and 8 1/2 x 14 legal size paper.